There are at least two artists with the name Qualia: 1) Ambient/Post-Rock project by multi-instrumentalist Dan Leader. Qualia has a total of 5 albums to date, which can be downloaded at Qualia's Bandcamp. Leader also plays guitar in projects Caves Of Glass and Varuna. He is also a member of the record label/music group, Just Noise Music. Qualia's official last.fm can be seen here. 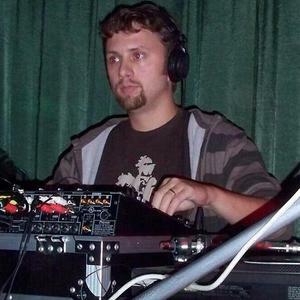 2) Electronic music producer and DJ from Austin, TX, named Jesse Bickmore. He has been creating music for many years in many different styles--including techno, house, IDM, downtempo and trance. 1) Ambient/Post-Rock project by multi-instrumentalist Dan Leader. Qualia has a total of 5 albums to date, which can be downloaded at Qualia's Bandcamp. Leader also plays guitar in projects Caves Of Glass and Varuna. He is also a member of the record label/music group, Just Noise Music. Qualia's official last.fm can be seen here. 2) Electronic music producer and DJ from Austin, TX, named Jesse Bickmore. He has been creating music for many years in many different styles--including techno, house, IDM, downtempo and trance. You can download mix sets and additional songs at Qualia's webite.